7 Days a week May thru September. Fall & Winter hours Lodge not open but two cabins open year round. 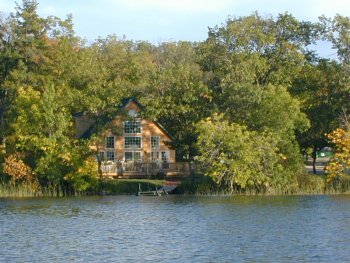 Nestled between Smoky Hills state Forest and Tamarac Wildlife Refuge, on the edge of Shell Lake, our 6 resort cabins are surrounded by 50 acres of tall pines and white birch. Family owned and operated. All of our cabinsare exceptionally clean and nicely decorated. 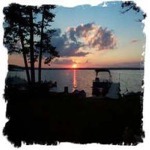 All cabins are lakeside with no hills, rocks, or steps to climb down to. All cabins have there own dock, boat, campfire ring, picnic table, and deck or screened in porch, and charcoal grill, or gas grill. New in 2013 flat screen televisions with new blue ray dvd players, air conditioning in all cabins. Free Wi-fi at resort. Either community of Park Rapids or Detroit Lakes are about a thirty minute drive away, so experience what both cities have to offer. You can also leave our resort on four wheeler and connect to many miles of trails in Smoky Hills State Forest and Two Inlets Forest to ride your machines and snowmobiles in the winter. We offer discounted stays in the winter months if you stay more than three nights. Summer months we offer shorter stays. Itasca State Park is about a thirty minute drive from resort also, see where the Mighty Mississippi starts it's journey to the ocean and many trails to bike or hike in the park await you and your family. 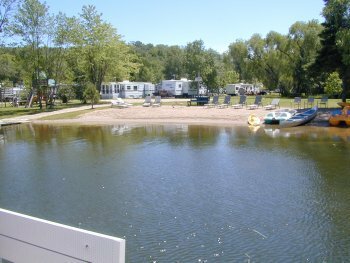 If you are looking for a quiet tranquil vacation with lots of great fishing available, you will have found it at our resort. From Park Rapids go west on Hwy 34 you come to Snellman look for State sign on right side of the road for resort. Turn north on hwy 39 go about 2 miles take left on S. Shell Rd. go straight back .